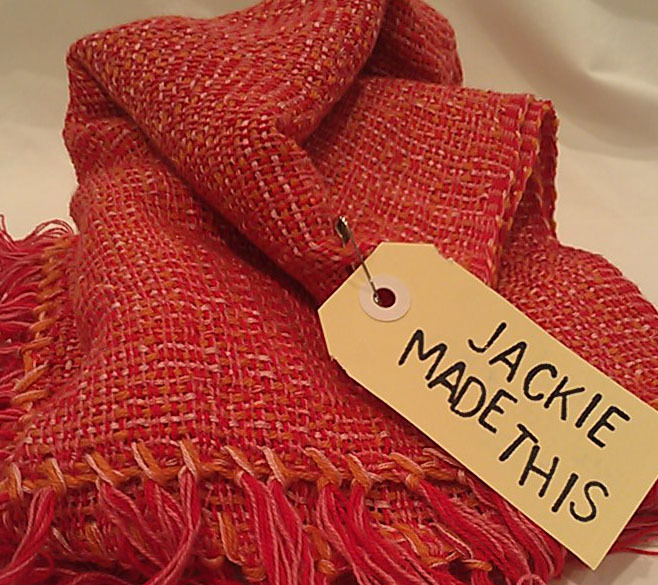 Jackie Made This creates hand woven scarves, shawls and cushions using heritage craft techniques. Each piece is handmade using natural fibres – wool, silk and cotton – which makes her scarves and shawls suitable for wear throughout the changing seasons. Original designs, gorgeous colours and natural fibers are brought together to create these wearable works of art. So come on down to Northern Regards Artisan Market on Saturday 3rd May from 11am til 4pm at the Northcote Social Club and get a Jackie Made This original for someone special in your life. This entry was posted in Uncategorized and tagged Artisans, cusions, Handmade, Handwoven scarfs, Jackie Made This, local, market, Melbourne, Northcote, Northcote Social Club, Northern Regards Artisan Market, recycled, shawls, Sustainable, upcycled. Bookmark the permalink.